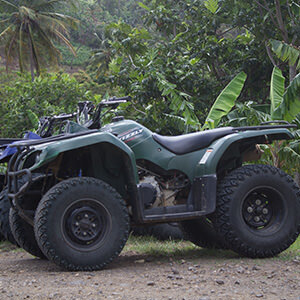 Aanansi ATV packages comprise of pickup from various hotels and cruise ships to the ATV site and back. Normally less than a 20 minute drive from most locations. Upon arrival you will be welcomed by our tour guide who will then briefly highlight the necessary instructions and use of safety gear. then work with you to help you understand how to ride the vehicle and how to manage the terrain. 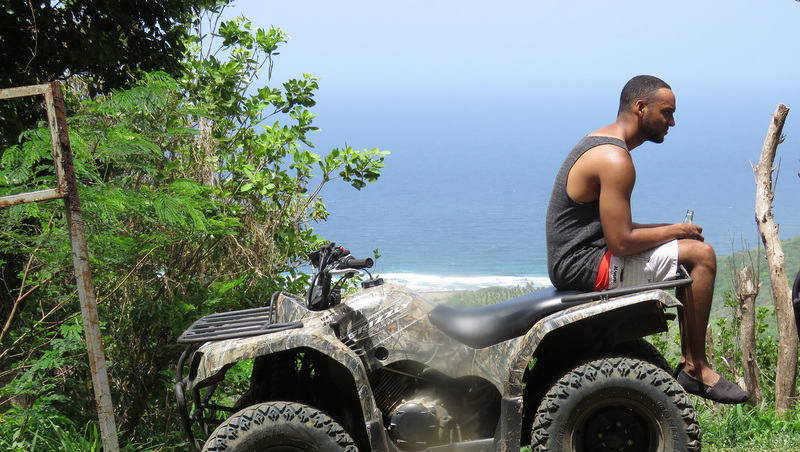 You will experience riding an all-terrain vehicle through beautiful St. Lucia’s, lush, mountainous banana, coconut and citrus plantations and finally there is an unimaginable panoramic view of the Atlantic on our North east coast. 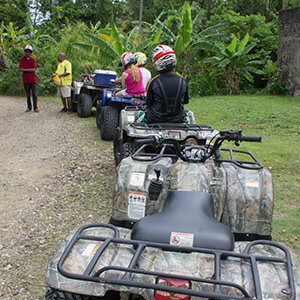 The roads are rough in many parts of St. Lucia, and what better way to tour than ATVs… the staff at aanansi were very helpful, especially to the first-time riders. Make sure to wear comfortable shoes. Would use these guys again. This was such a great ride. Wish it was longer. 2 hours goes by very quickly. Desmond was our tour guide, and he definitely knows the meaning of ALL TERRAIN. Definitely a ride I would tell anyone to take..
ATV ride was nice! Teens loved it! Went Christmas Eve. We had a very nice taxi pick us up and bring us back. Included. Great guide. Not a huge amount to see per se. Amazing stop overlooking Atlantic Ocean. One ATV wouldn’t start. They repaired by switching out batteries. Was very easy for them. Just hung out while we waited. No problem! Was fun. You are more than welcomed to carry along your devices to take photos. 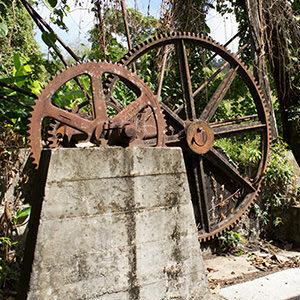 Babonneau, a community located in the northwest of St. Lucia. You can be creative with your next event. From Weddings & Sports Groups, to Family Reunions, and Corporate Activities. 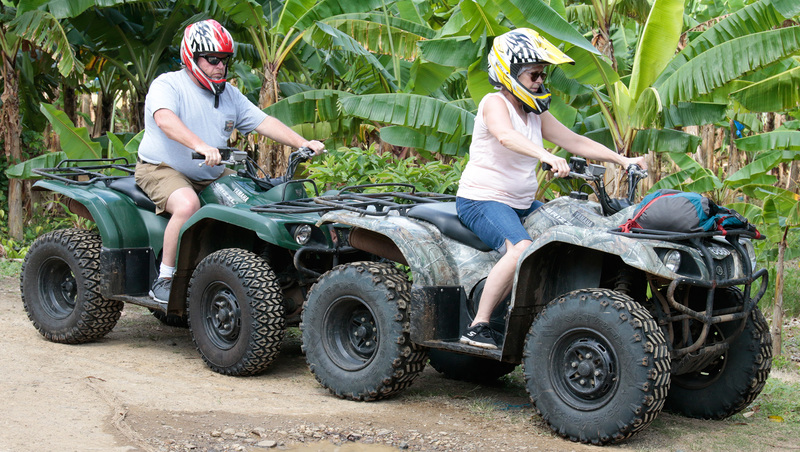 Contact us today for your next ATV tour, we can customize a package that meets your needs. Aanansi services and tours are highly rated by our many clients, looking forward for your reviews. 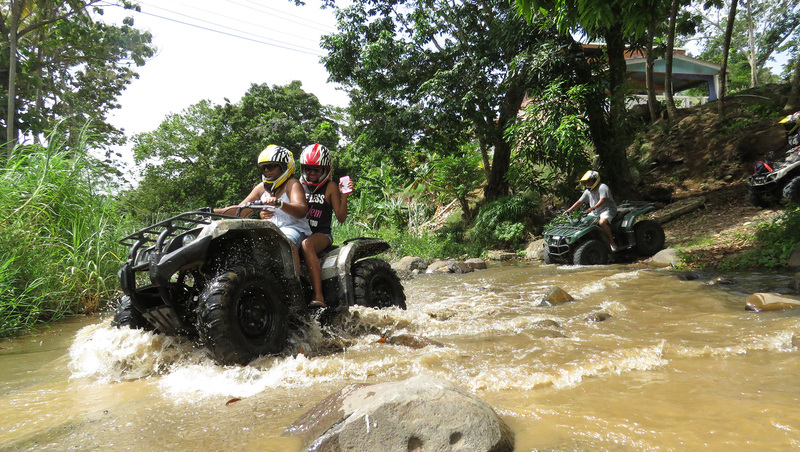 Are you ready to experience Aanansi ATV Tours?